As I perused my photos and pondered what I would post as my last photo in the “5 Photos in 5 days Challenge”, I ran across this picture. How fitting since today marks the 52nd anniversary of his assassination. 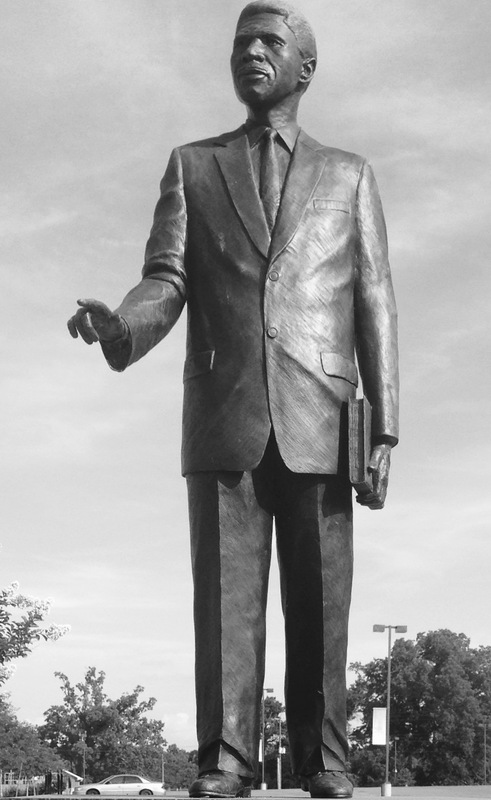 This statue stands tall and proud on the campus of Alcorn State University (previously known as Alcorn College) where Medgar Evans enrolled in 1948. As a student, Evers was a member of the debate team and an All-American football player. He graduated in 1952. Evers played a pivotal role in the fight against segregation in Mississippi.